Residents throughout the Chicago area have been lately which has allowed us to spend more time outdoors. While spending more time outside and enjoying the weather is great, it leads to more foot traffic in and out of your house which causes dirt and other debris to be dragged inside and increases the chance of getting grass stains on your carpet. Grass stains are practically inevitable during the summer, especially if you have kids, and they are unsightly on carpeting and clothing. Fortunately, you can effectively remove grass stains from your carpet and your clothes without having to limit your outside activities. Make a cleaning solution with 1 cup of cool, not warm (remember, heat sets a stain) water and ¼ teaspoon of dish soap. Apply the solution to a hidden spot of the carpet as a test. Soak a cloth in the cleaning solution and use the cloth to clean the stain on the carpet. Start at the outside of the stain and work your way in. Give the solution at least 5 minutes to soak into the carpet. Use a clean white cloth to blot the area until the grass stain is removed, avoid rubbing or scrubbing the spot because this could damage the carpet fibers. Thoroughly rinse the area with cold water to remove the cleaning solution. Apply laundry detergent directly to the stain and rinse it thoroughly. Presoak in an enzyme presoak product if the grass stain is still there. Rinse thoroughly and wash in the laundry. If there is still a grass stain, test a mild sodium perborate bleach (like oxyclean) in an inconspicuous spot on the clothing and apply to the stain. Rinse the perborate bleach thoroughly with water and wash in the laundry again. Grass stains are among the most common stains to get on your carpeting or clothing during the summer but following these tips will help you effectively remove grass stains. 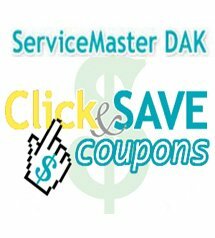 If you encounter a grass stain in your carpet that you cannot remove yourself, contact ServiceMaster DAK for professional carpet cleaning services. 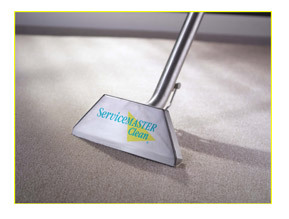 We provide carpet cleaning and stain removal services using the best equipment and cleaning products in the industry to homes in Buffalo Grove, Northbrook, and the surrounding communities of the North Shore and Northwest Chicago suburbs.